Following the sudden departure of two generic manufacturers there is an acute shortage of psychotropic medication within the UK. This supply shortage is expected to last a few months and is impacting on both the prices of medication and availability of medication forms that are available. Drugs that are particularly affected are Priadel (Liquid Only), Risperidone, Haloperidol and Promethazine. We are working hard to mitigate the impact of these shortages on hospital sites and recommend that hospitals proactively manage their existing stocks with the support of our Customer Services and Clinical Pharmacist teams. Please click here to view our advice on the supply shortages of Psychiatric Medicines. 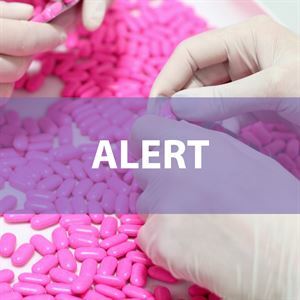 For more information about the Shortage of Hyoscine, please click here.